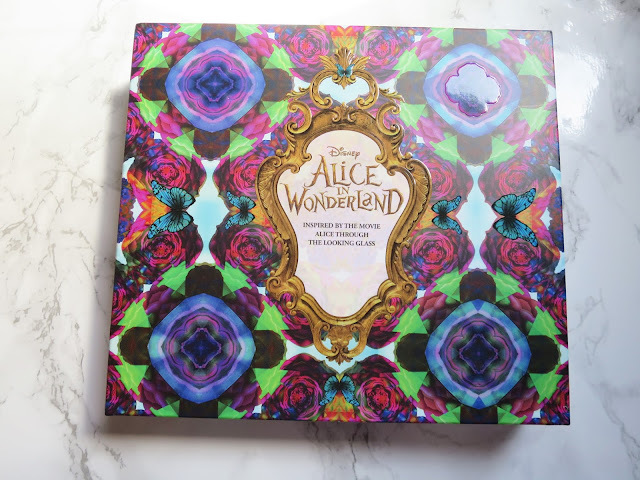 A few days ago the lovely Alice In Wonderland collection from Urban Decay landed on my doorstep, and I was so excited because I was seriously lusting over the palette and knew with the vibrant and fun colours within the palette that I had to have it. When I opened the packaging and found the gorgeous palette within I was over the room with the colours and the look overall of the packaging. So very Alice esque. 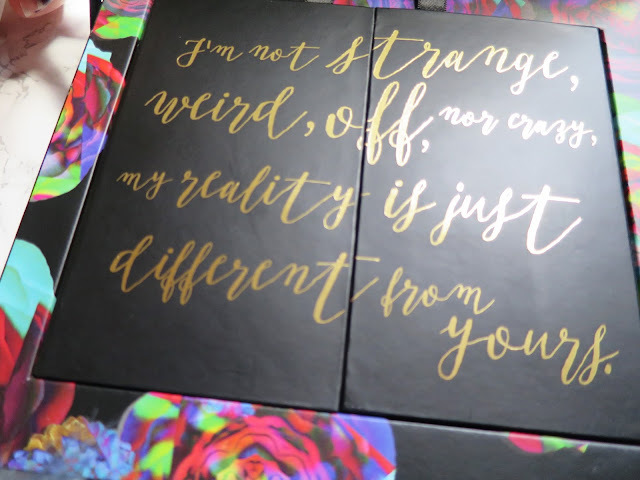 The first thing I noticed when I opened the palette was the fact that the open part of the palette opens up similar to a jewellery box, and inside was two doors with a quote from the film on. Once you open the door you are met with a gorgeous explosion of colour and a large blue butterfly which makes it even more appealing. Also there is a large mirror with an amazing framing around with the quote "we're all mad in here" in lovely font on the mirror. The eye shadows are actually in a pull out draw underneath each of the lines of shades is in a theme of a character. 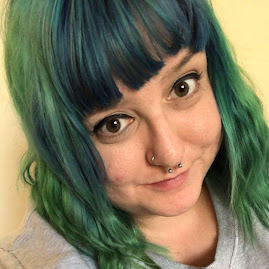 The one which I love the most is the Mad Hatter column as they're fun and glittery and I can't wait to experiment with them. The palette itself gives a very Alice In Wonderland feel to it, with bright colours, fun patterns as well as the quotes which are scattered within. The 3D element to the palette makes it feel that more luxe which is always a bonus. The palette includes 20 never seen before shades, which were created just for THIS palette! 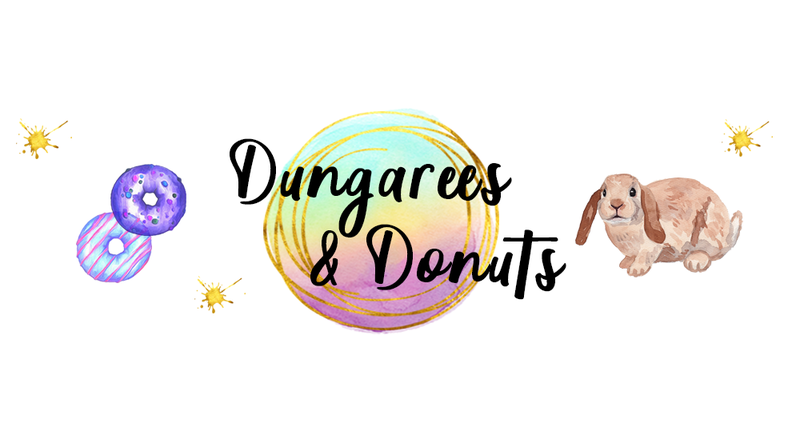 If you're not a fan of the bright shades created for the Mad Hatter the palette also includes some softer shades which would be seen upon Alice, so this palette includes something for everybody, yay! The palette costs £43.00 and is available to purchase now. Overall the palette itself is an amazing purchase and totally perfect for those who like to experiment with colour. If you're a fan of Alice In Wonderland it is a totally worthwhile purchase also. Ah I want this so bad!! The colours look amazing and perfect for Summer. 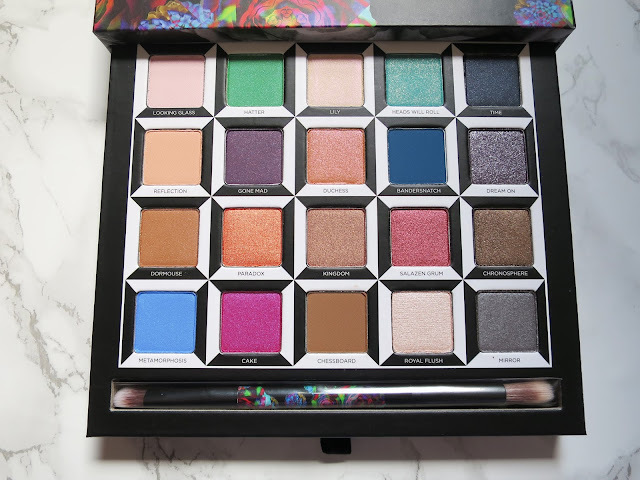 I really want this palette SO bad, looks gorgeous. O my goodness! I am a fan of Disney including Alice in Wonderland (especially the Cheshire cat!) This palette looks amazing, I am very tempted to treat myself!! Wow this is a real wonderland palette! So many sparkling shades - I'd love playing with them all!! I want to try this palette so much! I don't really wear makeup, but as an avid Alice fan I am in love with this! I might have to get it for my daughter. Gorgeous colours!